Grew up with KK Niksic (Montenegro) juniors. Made his debut with KK Niksci 2nd team during the 2008-09 season. 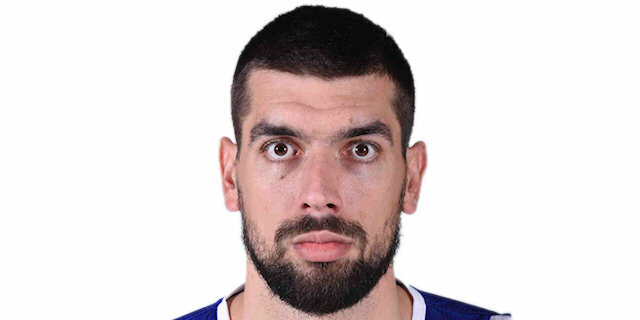 Signed for the 2011-12 season by KK Mornar Bar. Moved to Hungary for the 2012-13 season, signed by Sopron KC. Signed for the 2014-15 season by KTE KK. Moved to Bulgaria for the 2015-16 season, signed by Lukoil Academic Sofia. Moved to Germany for the 2016-17 season, signed by Telekom Baskets Bonn. Moved to Montenegro for the 2017-18 season, signed by BC Buducnost Podgorica. Won the 2009-10 and 2010-11 Montenegrin National Championship with BC Buducnost Podgorica. Won the 2015-16 Bulgarian National Championship with Lukoil Academic Sofia. Won the 2010, 2011, 2018 and 2019 Montenegrin National Cup with BC Buducnost Podgorica. Played the 2016 Bulgarian All Star Game. Played at the 2007 and 2008 European ‘B' U-18 Championship.